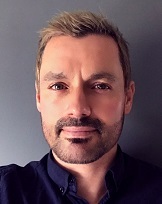 Tony Macdonald is another former British Airways employee, who spent four years with the airline at the start of his travel career, latterly working on business development. He moved on to First Choice Holidays, where he was a call centre manager for five years, before joining STA Travel as a multi-site manager. Tony has worked in travel since 1996 and at Progressive Travel Recruitment he is responsible for operations, marketing & branding, training, supplier contracting, GDPR compliance, advertising, company websites, and candidate sourcing. Tony is also responsible for the development of our overseas offices.